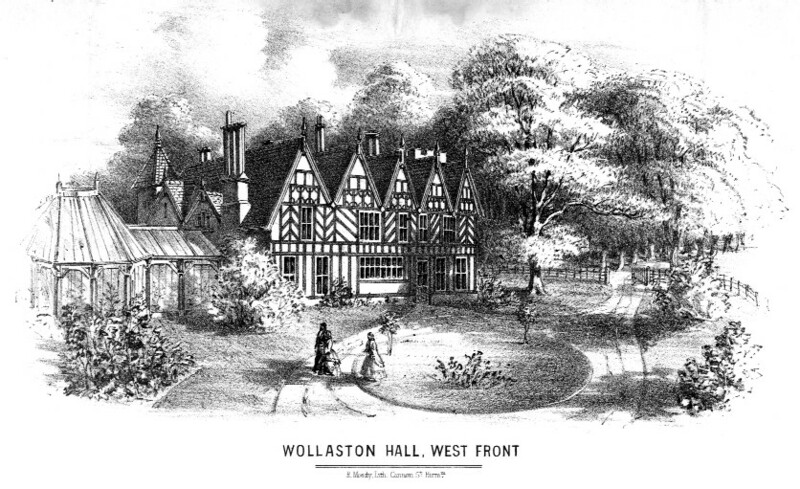 On 14 August 1849, shortly after buying Wollaston Hall for £3,500, William Blow Collis took out fire insurance cover for Wollaston Hall with the Law Fire Insurance Society of London. The sum insured was £480, for which £1 5s 9d was paid annually each 25 December. 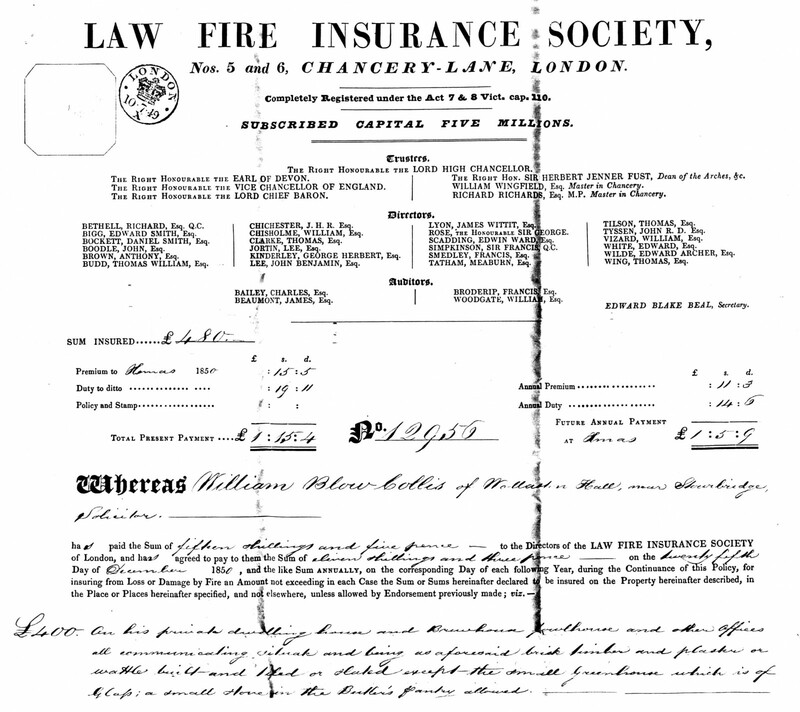 This is a copy of the insurance certificate he was issued with.